The evolution of day surgery has heralded a new era of medical, anaesthetic and nursing knowledge, skills and practice. Day Surgery: Contemporary Approaches to Nursing Care explores the familiar concepts within nursing, such as evidence-based practice, patient-centred communication, management, practice development and models of care, and uses these theoretical constructs to provide a comprehensive overview of contemporary services and nursing approaches within day surgery. This book is written with the intention of providing nurses working in day surgery with a comprehensive applied text that can be used as a reference when caring for patients. 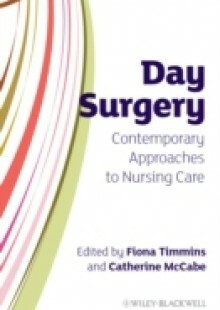 Day Surgery: Contemporary Approaches to Nursing Care: Provides a comprehensive overview of nursing approaches in day surgery Utilises models of care Includes evidence based practice Provides practical advice on management of day surgery services including setting up and implementing nurse led services in the area.